SATURDAY junior rugby is not every club’s preference, if the number of cancellations this week-end reflect the mood of the clubs. Seven walk-overs were reported, two in the Munster Junior Challenge Cup. Last Saturday St Mary’s could not field a team to travel to play Bandon in the foremention competition while Newcastle West also got a walk-over in the cup from Crosshaven. Five other walk-overs were recorded in other competitions. Munster Junior Challenge Cup, Abbeyfeale 35, Skibbereen 7: Skib struggled on this visit to the County Limerick venue and the home side ran out convincing winners. James O’Mara and Trent Reti scored a brace of tries each with Michael Roche also dotting down. Stevie Daly was again in good kicking form, contributing two penalties and two conversions. 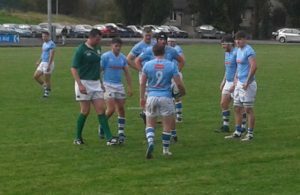 Clonmel 14, Richmond 16: The city boys had to dig deep for this victory in a game that was fought out with intensity right to the finish. Richmond are in rare form at present and they were certainly tested by Clonmel who would have fancied their chances of advancing with home advantage. Richmond led 13-5 at the break thanks to a try from Gearoid Phelan and a conversion and two penalties from Brian Mullins. Clonmel upped their game in the second half to add nine points to their tally but a third Brian Mullins penalty saw Richmond through to the next round. 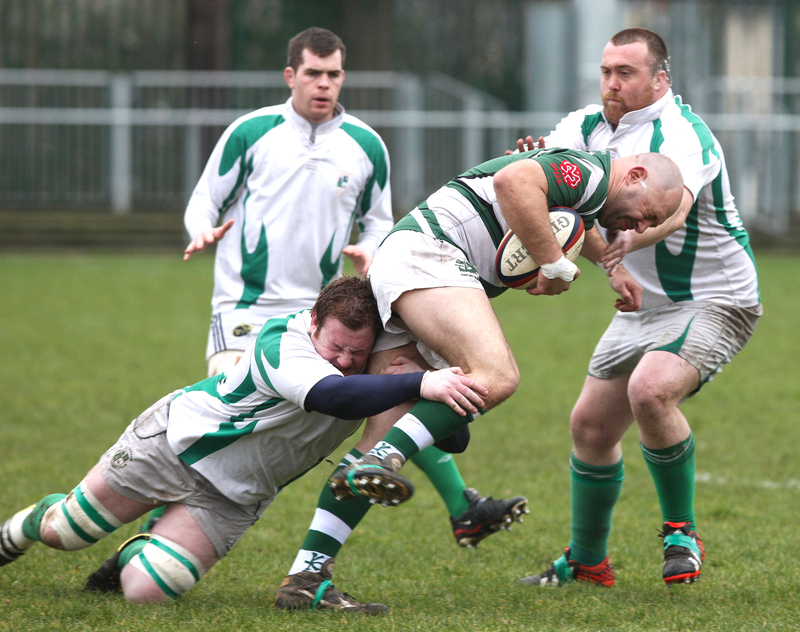 Big game next week-end will be the meeting of Newcastle West and Richmond in the Munster Junior League, division one. St Mary’s were forced to give a walk-over (their first ever in this competition) while the postponement of the Newcastle West and Crosshaven game left the county side without a match for the second week in a row. Kilfeacle 20, Galbally 3: Kilfeacle sorted out their goalpost problem to host Galbally but they had to work hard to get the better of a spirited Limerick side. Gleeson League, Richmond 36, St Senan’s 14: Richmond overcame the challenge of fielding two teams on the same day with their seconds recording a deserved victory over St Senan’s. The green and whites were in fluent try-scoring mood bagging six tries through Pearse McCarthy two and one each from Wayne Cronin, Ross Walsh Rian McNamara and Eoghan Aherne. From the kicking tee Darragh Clancy was accurate from three conversion attempts. 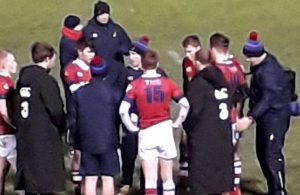 Also in the Gleeson League Shannon beat Young Munster 28-14, UL Bohemian and Nenagh Ormond drew 22-22, Newport pipped Garryowen by a single point, 16-15 while new club Ardscoil Ris Old Boys got the better of Old Crescent on a 15-0 scoreline. Women’s AIL, UL Bohemian 41, Galwegians 14; Munster Women’s League, Tralee 76, Richmond 0.